A party of seventy members and supporters of Ardee Concert Band are travelling to Prague in the Chez Republic on Thursday 24th of June 2010. 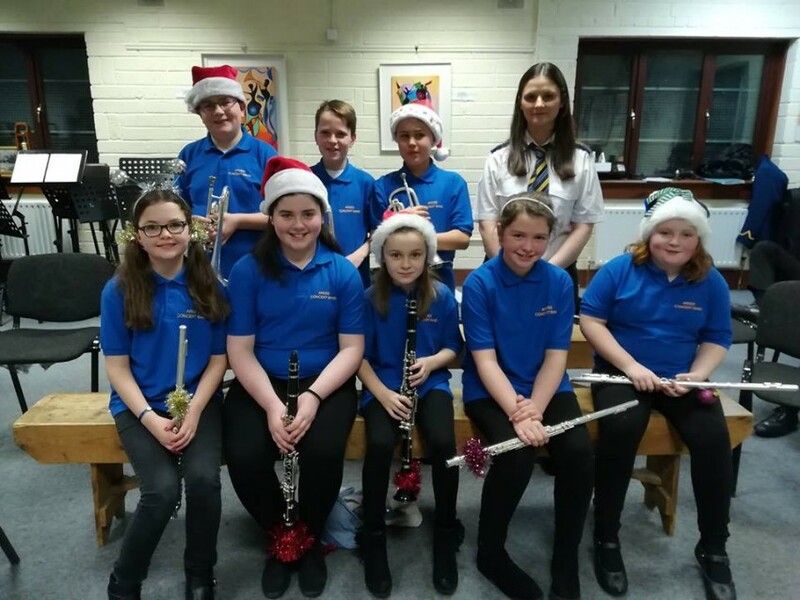 The band were delighted to be invited to take part in this international festival as they will not only be representing Ardee but as they are the only Irish band taking part, they will also be representing Ireland. This trip is one of the events planned by the band as a way of celebrating 150 years of music making in Ardee. The 41 playing members of the band will quite literally fly the flag for the town as they march into the Old Town Square in Prague on Friday morning, led by Staff Major Paddy Ward, the five flag bearers will carry the Ardee, Louth, Leinster, Irish and the European flags. The band will also play a selection of Irish marches. This will be followed by a forty-minute sit down recital in the square. The band will follow the same performance itinerary in Nymburk, a city sixty kilometres away, on Saturday the 25th. The band will join other bands from Norway, Sweden and the Chez Republic in a massed band to play “Roll Out the Barrel”, which was composed by a gentleman called Jaromir Vejvoda a native of that city. The son of this composer, Josef Vejvoda will conduct the massed bands, this will be some spectacle and a great privilege. The band has been very busy preparing for this trip by rehearsing the programme of music for their performances. The organising committee consisting of Jenny McKeever, Niall Doherty, Dermot Murray and Fiona Reilly, ably assisted by Kevin Reilly and Peter McKeever in the final stages, have gone to great lengths to ensure that everything goes well on the trip. Harry Kelly will conduct the band for the forty-minute recitals. The programme consists of Irish music and entertaining well-known pieces. The band members range in age from fourteen to seventy six. Unfortunately not all playing members were able to travel, one band member was booked to go but had to cancel due to work commitments. “The band will be sorry to travel without these members and we will miss them, however we are delighted to have a past member Anthony McArdle home from Sydney Australia travelling and performing with us” says P.R.O. Fiona Reilly. Band committee members travelling are Chairman Austin Nevin, Brenda Clare, Tom Lennon, Anne O’Brien and Martina Browne. The rest of the party consists of partners, parents and siblings who are accompanying them on the trip. The non-players will march behind the band waving Irish flags donated by the St Patrick’s Day Committee. The band fly home on Sunday evening 27th June. Received a Platinum Award at the UK’s. 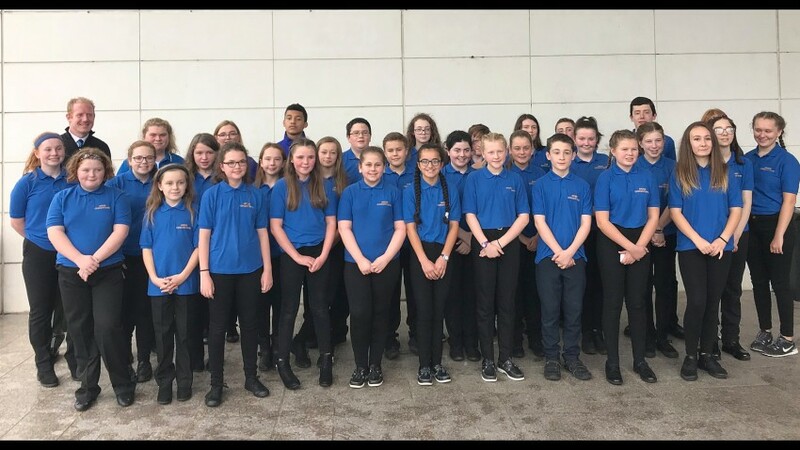 North West Regional Band Festival, Sunday 19th November 2017 in Oldham, Greater Manchester.